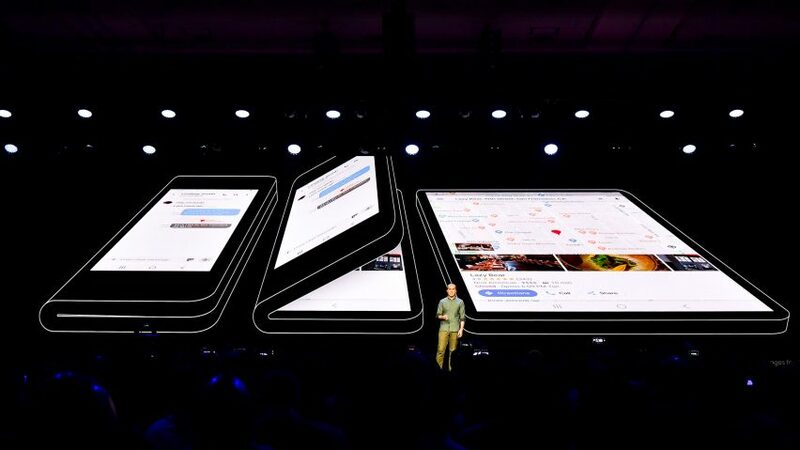 Samsung decided to launch it first foldable phone coming March, before the final reveal of the device Samsung Insiders presume to have a demo/showcase at the MWC in February at Barcelona and the final Global Launch event will take place in March 2019. Samsung had already showed the sneak peak of the foldable phone and its IU at SDC 2018, they could name the Phone in Galaxy F series. According to the sneak peak held in SDC the phone when unfolded will sport a 7.4-inch screen, while in inward when in fold position the phone will show a 4.6-inch screen which is slightly less than a most coming 5 inch display. The phone is expected to launch at a price of $1770 (in India it would cost more than 1,30,000 INR). According to Koh Dong-jin President of Samsung Electronics, the flexible/foldable phone will ship at least one million units globally within the first-half of 2019. Before the Global of Launch the Foldable Phone Samsung will also Launch its next flagship the Galaxy S10 Smartphone probably in February, insiders believes that the 5G enabled Galaxy S10 devices will be released with the foldable phone in March. Stay tuned with Alloftop for more updates!